For today, in trying to recover from my cHokies’ ineptitude (they blew a HUGE lead at the half to LOSE the GAME! ), what do I watch? More football, but with the NFL this time. Again for the third week in a row, my benched players outdid my roster. I really need to start listening to my gut and begin ignoring the “expert” sports analysts. 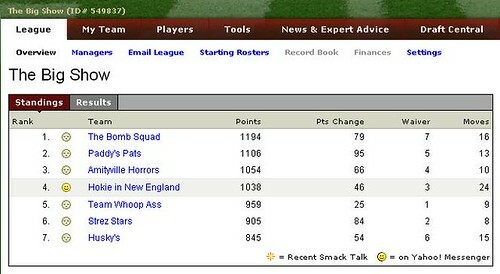 I fell in points in my Yahoo FF League “The Big Show” and am no more the second or third place out of the seven teams. Then again, with this FF being my first ever using a draft, I guess I should be elated that I am not dead last! Worked from home. Packed my bags while addressing a work-related emergency that occurred. Once again I have over-packed my knitting items, but I always add WIPs “just in case” I get stranded with nothing to do. 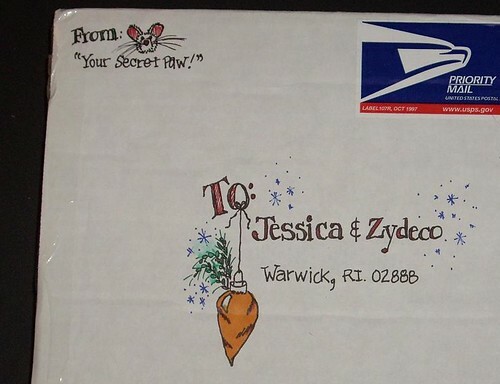 During all the work ruckus, Jessica and Zydeco’s Secret Paws Winter Holidays 2006 package arrived. Since my flight was scheduled for the early afternoon, photos and the post will have to wait until I get back. At the airport, Rich and I had lunch together. Uneventful flight delay-wise, chatted with some interesting folks, and had a great welcome by my sister and her family. Dinner immediately followed at Reginella’s Ristorante. I need to post about the Christening later. Why? Because it deserves its own post! 🙂 Meanwhile I shall tease you with news on a visit to my favorite LYS in Virginia Beach. 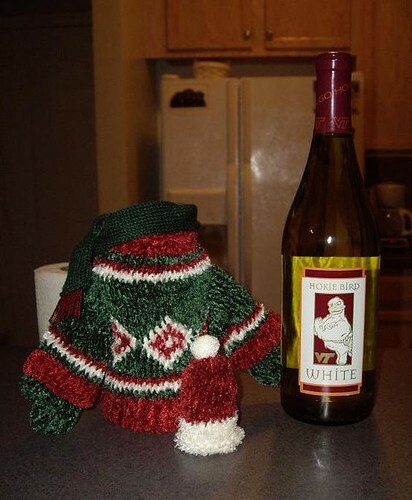 I really cannot get enough of Ewe Knit Kits. So much that I am going to start saving money for KnittaPalooza 2007. Sounds like a great way to ring in the new year. 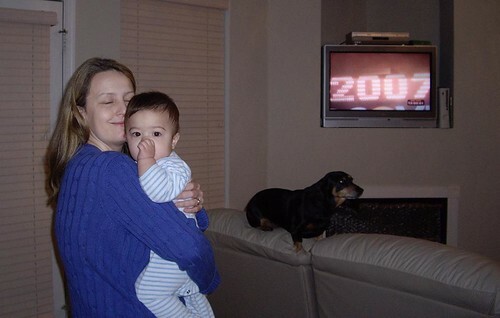 Hope you have a very happy 2007! Happy New Year! 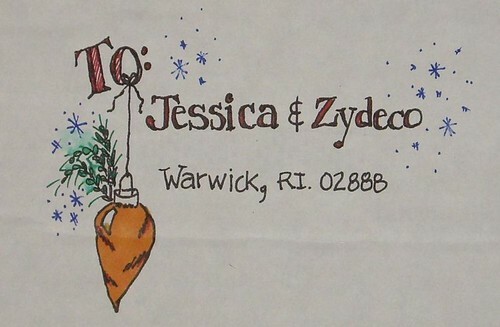 It sounds like your holidays were wonderful! Can’t wait to see the pictures. 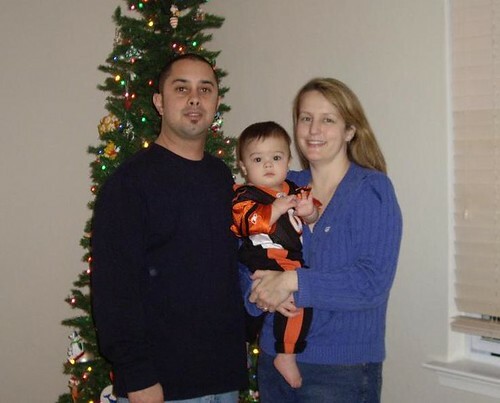 Just wanted to stop by and thank you for commenting on my blog. This is kind of strange, but I used to lurk here a while ago, but then lost the link somehow. Anyway, glad to have found you. 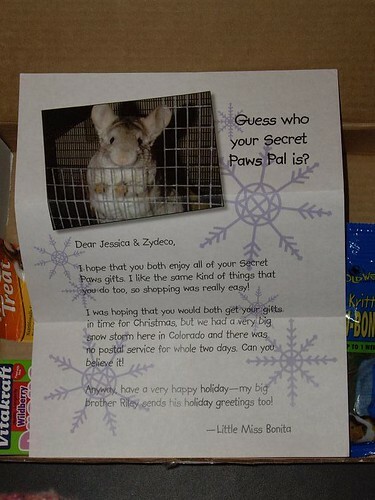 Miss Bonita’s “mommy” here… I was so glad to read that you received your Secret Paws package. We had two blizzards here in Colorado which shut down the mail service both before and after Christmas. Even my office was closed for several of those days. I was concerned that with the backlog of holiday mail, your package got misplaced. Anyhow, I hope your bunnies enjoy the treats. 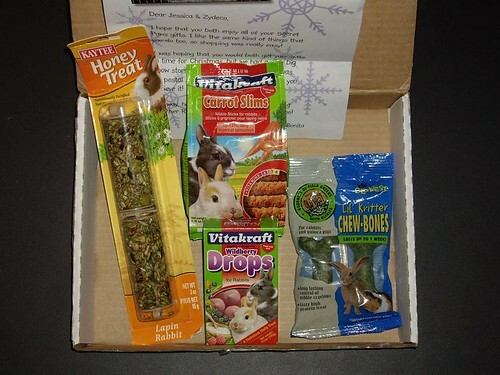 Thank you so much for your package of goodies for my chinchilla. She loves dried fruits and the rosehips are going to be a nice treat for her. I’ve enjoyed reading your blog… I’ve been crocheting since I was a teenager–it was my Grandmother who taught me to crochet and to sew. 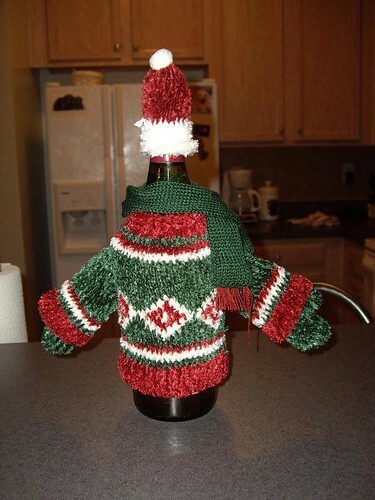 My sister, Jenn, loves to knit (she’s Timothy Dickens “mommy” on the Secret Paws site). I’ll have to tell her to check out your knit projects. 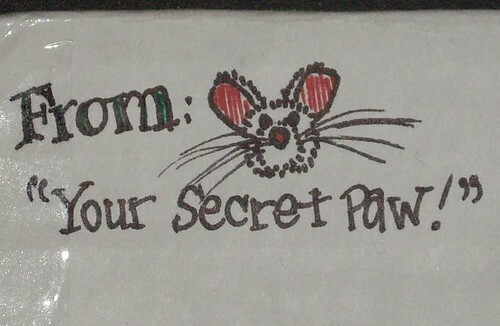 Oh my God that little Carrot Ornament drawing it too cute on the Secret Paws box!